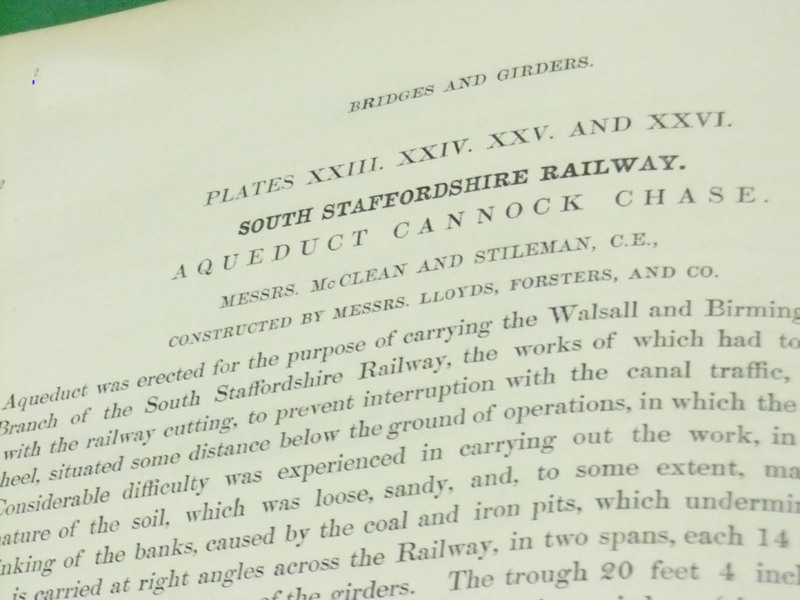 While perusing an old magazine, our curator cames across this article about a railwayman from Pelsall. We thought that it would be worth another airing. On February 19 Ganger John Jones, Engineering Department, retired after 51 years’ service. He commenced as tool-boy in No.3 extra gang. After 11 years with the gang he was made sub-ganger, and three years later was promoted as ganger, which post he had filled on the Norton Branch, Pelsall, for 37 years. He had served under 10 inspectors. Situated roughly half way between Pelsall and Brownhills stations and originally known as Ryders Hayes this Norton Junction in South Staffordshire was by far the largest of the many that carry the name on the British rail network. It became so large because of enormous production of coal from the mines at Norton Canes and Cannock Chase. 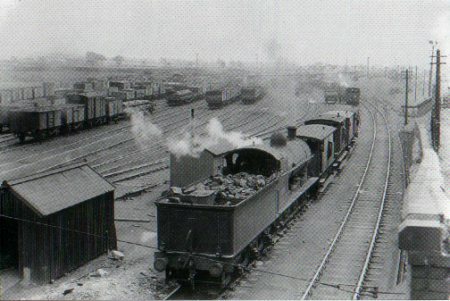 Wagons were brought down to the marshalling yard at the junction on National Coal Board lines, with coal board locomotives, to be marshalled into trains of the right length to make their journeys onward on the national rail network. The signals are set to go on the Chasewater Light Railway in Staffordshire. Members have just launched a big recruiting campaign to get a larger labour force together for working on the picturesque railway around Chasewater Pool, near Brownhills. Throughout the winter, work has taken place in the compound and on the track. 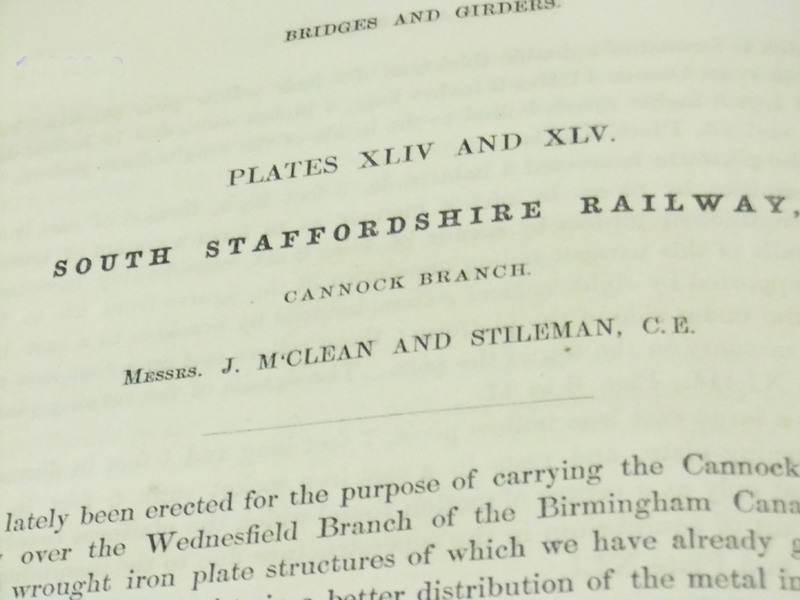 The Society was heartened when their Maryport and Carlisle Railway coach of 1875 was accepted for the S&D Rail 150 Exhibition. 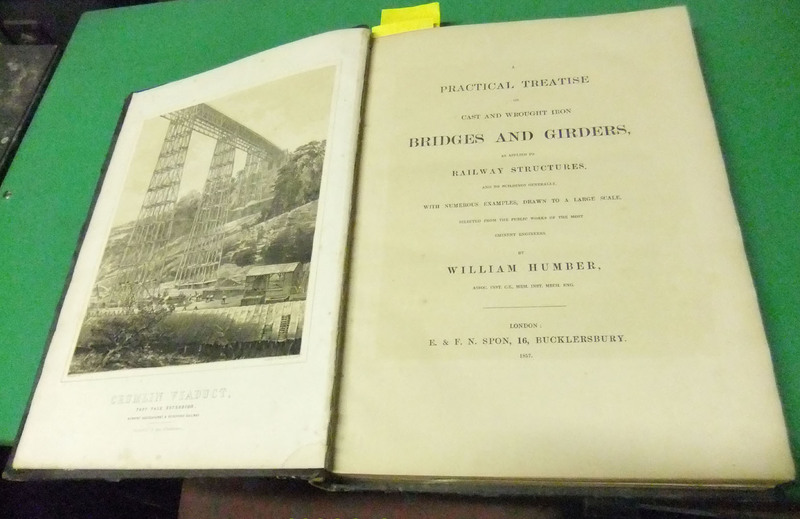 It is believed to be the sole surviving stock from that company. 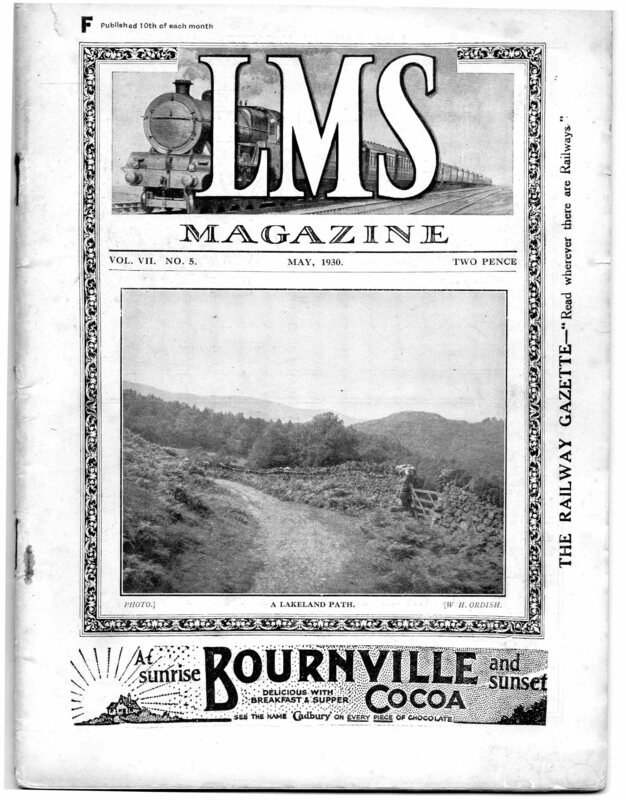 The Society has just re-vamped its own magazine to produce an unusual, yet chatty, style which should go down well with supporters! 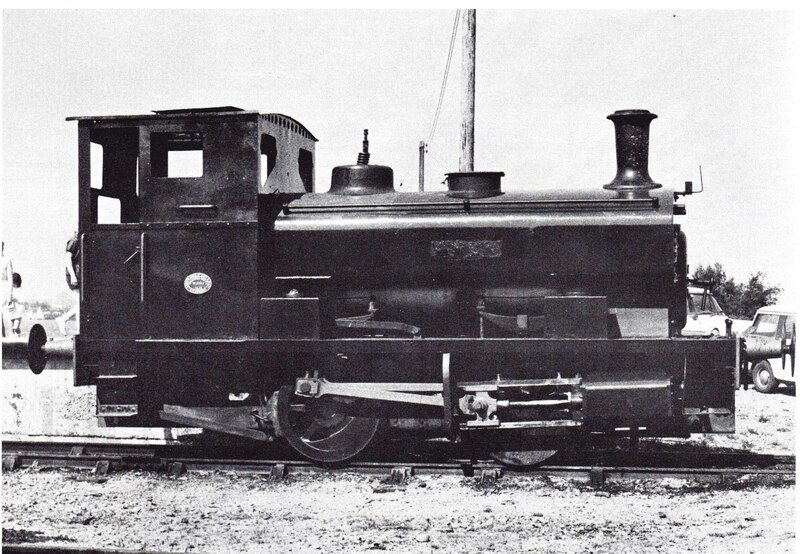 Chasewater’s Barclay 0-4-0ST No.2220 of 1946, on which members have been working this winter. 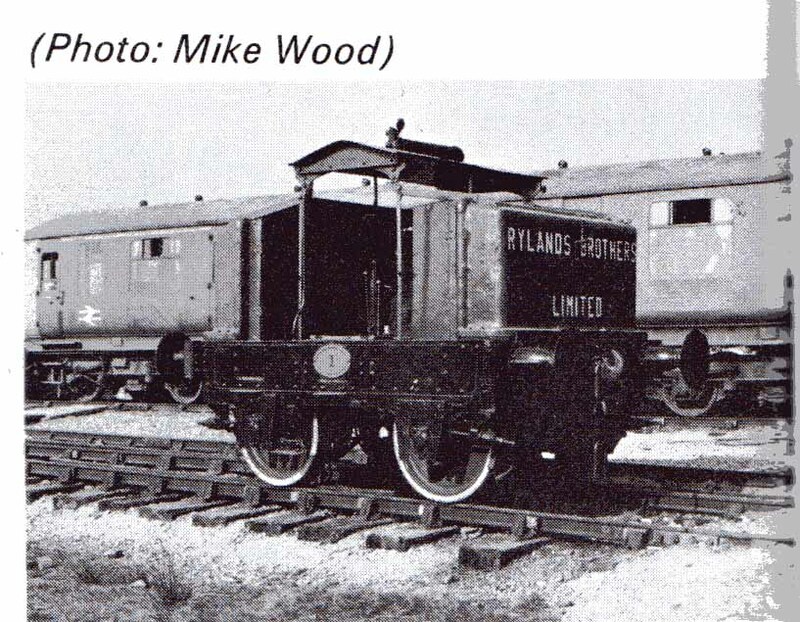 One of Chasewater Railway’s unusual shunters is this tiny 0-4-0 diesel with spartan conditions for its driver. 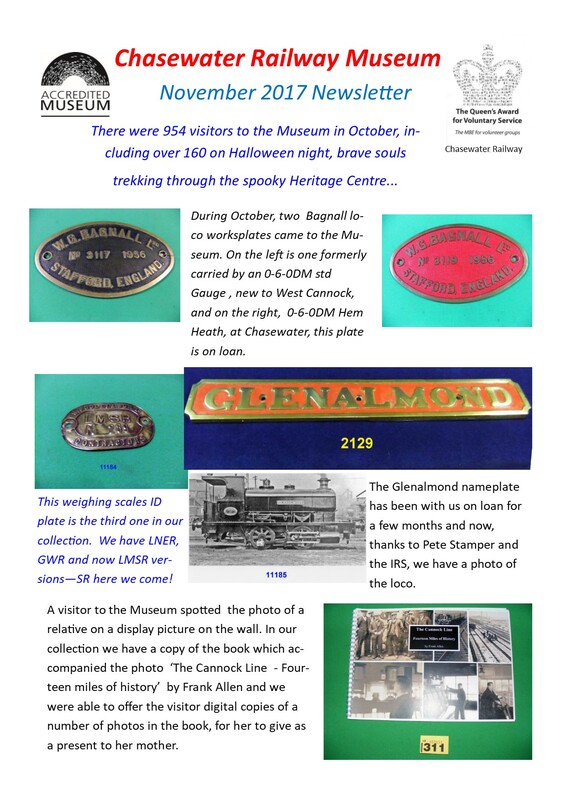 The items in this post were found in one of the old magazines in the museum archives. 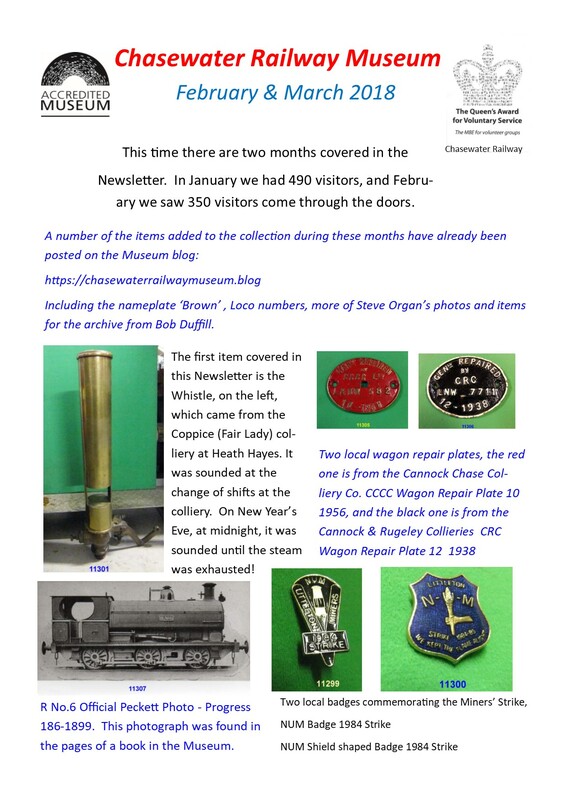 Good progress has been made by the Midland area members of the Railway Preservation Society on the Chasewater Light Railway Branch which will be used to display their rolling stock and to run locomotives. During the Winter months, however, only a few real stalwart members continue to lift and re-lay track despite the cold and wet conditions. Weather permitting, working parties were held on Saturday afternoons. The Hon.Sec. (Mr.D.A.Ives) has emphasised that track laying must continue at full pace if the length is to be completed as scheduled by April. The Chasewater party comprises 12 regular members, who are now resigned to the fact that the job will have to be completed by them, and them alone. A strong steel door has been fitted to the platelayers’ hut at Chasewater where it is intended to store all the platelayers’ tools. Latest reports indicate that the job will be complete on schedule. Negotiations are taking place with a view to erecting a permanent building at Chasewater in the near future which will be used to house all the locomotives and rolling stock. At the Society’s Hednesford depot, regular Winter maintenance is being undertaken to the vehicles. Further relics have been added to the interior display of the travelling post office vehicle. Members are being urged to give the Society full support during 1966 to enable the projects to be carried through. 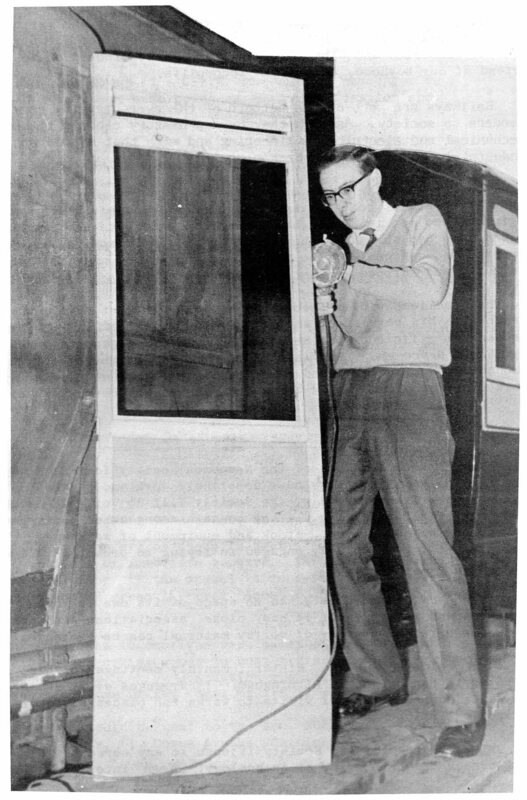 Mr. Frank Harvey, a member of the Midlands Area, Railway Preservation Society, made this door for the Maryport and Carlisle Railway coach now being restored. 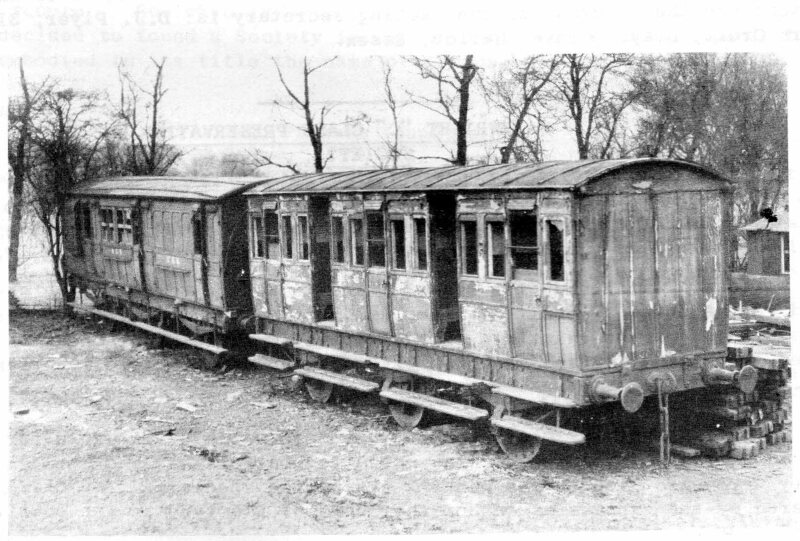 An early picture of two historic coaches prior to their restoration by the Midlands area Railway Preservation Society. 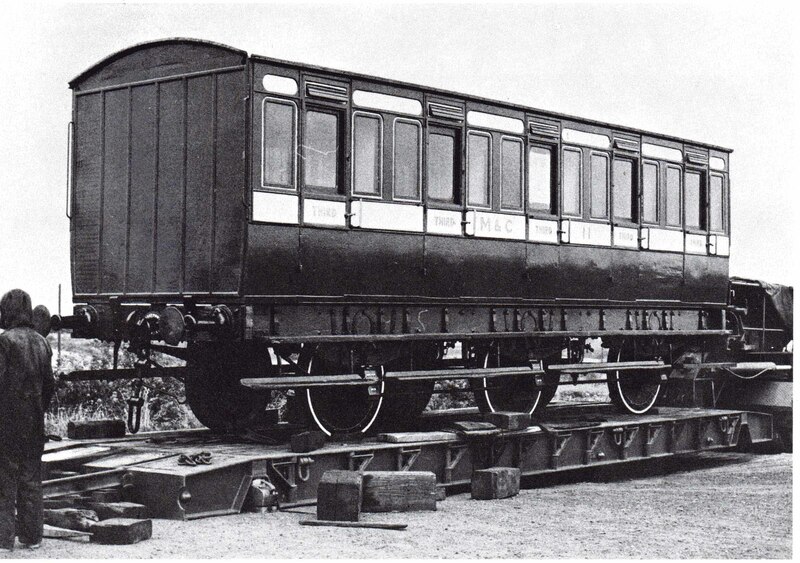 They are: right the Maryport and Carlisle Railway coach and the Great Eastern Railway third class brake. Photos taken at Rawnsley, Cannock by R.C.Riley March 1960. 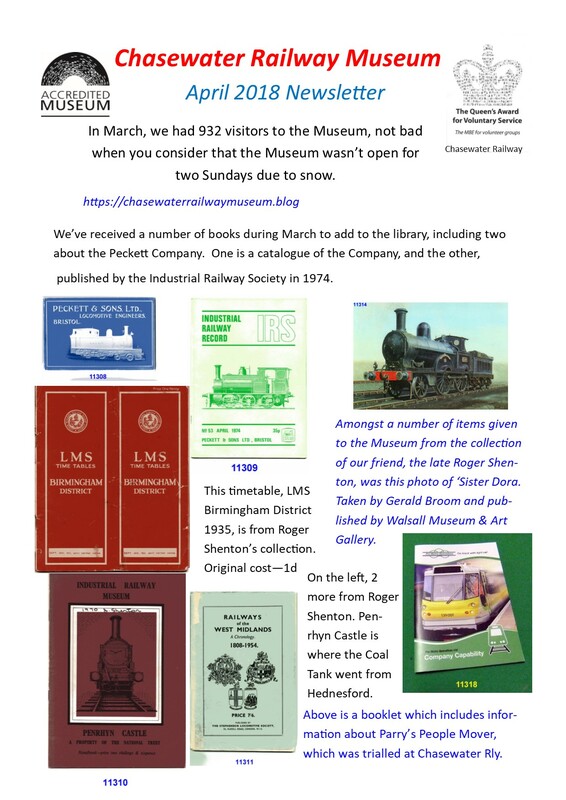 Details of the ‘Railway Forum’ film theatre recently published in the magazine have resulted in a number of inquiries from readers. 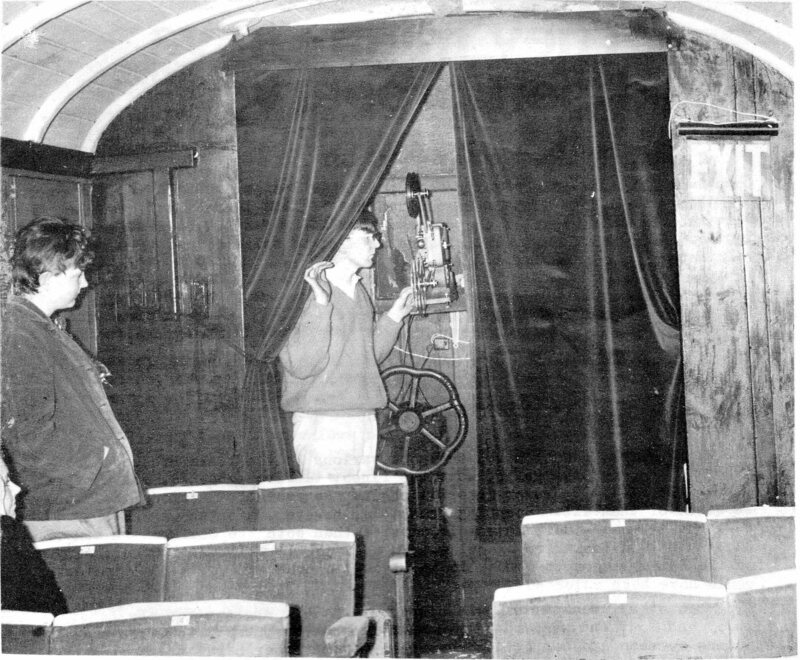 Picture above is a section of the auditorium showing the projection box. The cinema, which is at the RPS depot at Hednesford, Staffordshire, is open during the summer months and can hold 18 people. Special programmes are screened on railway subjects to visiting parties by appointment. Three film sizes can be shown: 8mm, 9.5mm and 16mm (sound). Facilities are also available for cutting and splicing. Latest film to be produced commemorates the centenary of the Talyllyn Railway.